WEST LAFAYETTE, Ind. — The Purdue Student Health Center has 140 doses H1N1 vaccine, which will be made available beginning Wednesday (Oct. 28), while supplies last, to students, faculty and staff from priority groups. PUSH will administer the vaccine from 8:30 a.m. to 4:30 p.m. weekdays. There is no charge for full-time students. 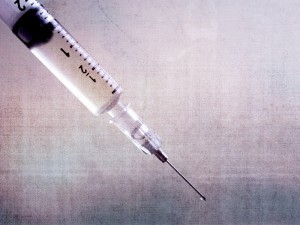 Priority groups, set by the Centers for Disease Control and Prevention and Tippecanoe County Health Department, will be expanded when additional vaccine is received. Individuals considered to be at risk are those who have: cancer, blood disorders, chronic lung disease (asthma, chronic obstructive pulmonary disease, etc. ), diabetes, heart disease, kidney or liver disorders, neurological or neuromuscular disorders, or otherwise weakened immune systems.